Following the new Data Protection Regulation (EU) 2016/679 of the European Parliament and of the Council, as of the of 27th April 2016 related to the protection of natural persons with regards to the processing of personal data and free movement of this data and which repeals Directive 95/46/EC (General Data Protection Regulation ) (“D.O.U.E.L” 4th May) which will be applicable from May 25, 2018 ,we inform you that the person in charge of this data is CEA SARL , being this confidential and having as sole purpose the development of the corresponding commercial relationship. The owner of the data may exercise at any time his/her right of access, rectification, deletion and opposition of their personal data, by sending ordinary mail to : CEA SARL Z.I DU Coudray, 2 Rue Nicolas Copernic -93600 AULNAY /BOIS or by email at cea93@cea93.com. The owner also has the possibility of obtaining, in an organized and commonly used electronic format, a copy of the data that is being processed. You may decide to transmit this data to another system provided that the data object of that transmission is subject to an automated processing. Likewise, CEA SARL is authorized to possess your personal data, which will be kept as long as the commercial relationship is maintained or during the necessary years to comply with legal obligations. 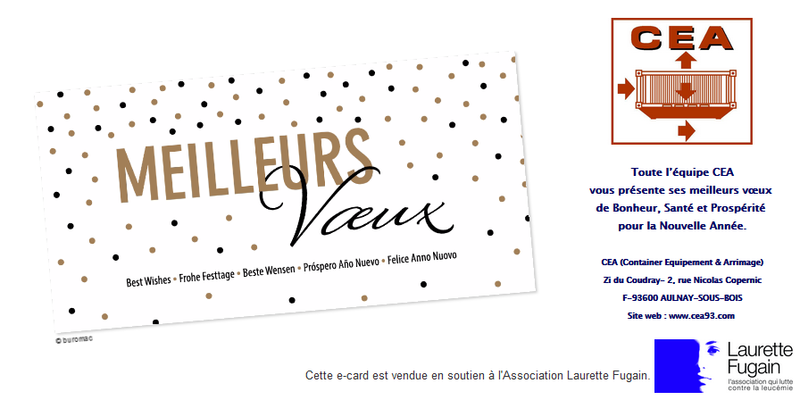 If you do not wish to receive information or publicity about CEA SARL, you can use your withdrawal right by ordinary mail to our address: CEA SARL Z.I DU Coudray, 2 Rue Nicolas Copernic -93600 AULNAY /BOIS or by email at cea93@cea93.com. 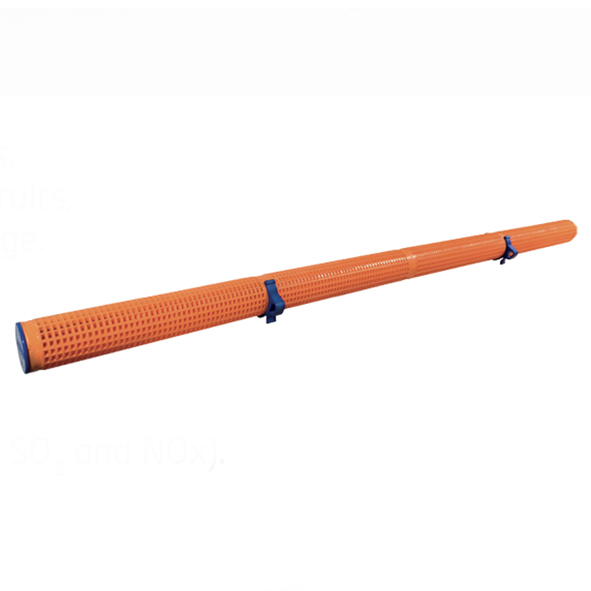 The ethyene absorber is a destroyer of ethylene in a plastic tube of 36 cm length. It is composed of active material of granules (potassium permanganate), packing in a gas permeable tube. This rigid tube is to be fixed with fixing hooks on air compressor grills of reefer containers. It allows the extension to several weeks (until 8 weeks) of the storage of vegetables and fruits. We inform you that we will be present at the exhibition SITL edition 2018, and will welcome you with pleasure on our stall Nr L85 - Hall 06. Our best wishes for 2018 ! Et Rolf Dieter GRUBER, Vincent, Christophe, Eric et Alvaro. "Cosmetic" and "symbolic" protection nets are legion. There is for all the prices, without serious commitment on the retaining force! Protection nets must safely keep your cargo subject to the vagaries of shipping, know that the ship can bow 35 °. Is your cargo sufficiently protected to avoid seriously injuring the person who is confidently opening the container's doors to their destination ? Your cargo will also suffer the consequences of the brutal and repeated movements of the sea. Your client will judge you and your insurance company too. Our protection net by strap type "CARGO NET®" with a resistance of 3.5T is the proof of your precaution. We have a good news ! Our lifting beams type "TP" are polyvalents and alow the lifting of ISO containers 10' 20' 40' with only one lifting beam. The delivery time for this equipment is very short. Should you need information, don't hesitate to contact us. Only one multifunction spreader type DUO 10’ and 20’ or DUO 30’ and 40’ for ISO containers. This type of speader is used in the industry and in the nuclear handling. Protect your goods during winter and summer ! Preventing summer heat with thermal insulation type “ISOL-CONTENEUR®” and “ISOL-CARGO®” is THE economical and efficient solution. We are glad to present you our new humidity absorber bag: "CARGO-DRY®" TWIN 2x300gr 400% with hook, with a water absorption of 2,4 Liters. The spreader/lifting beam solves several needs in the Company. 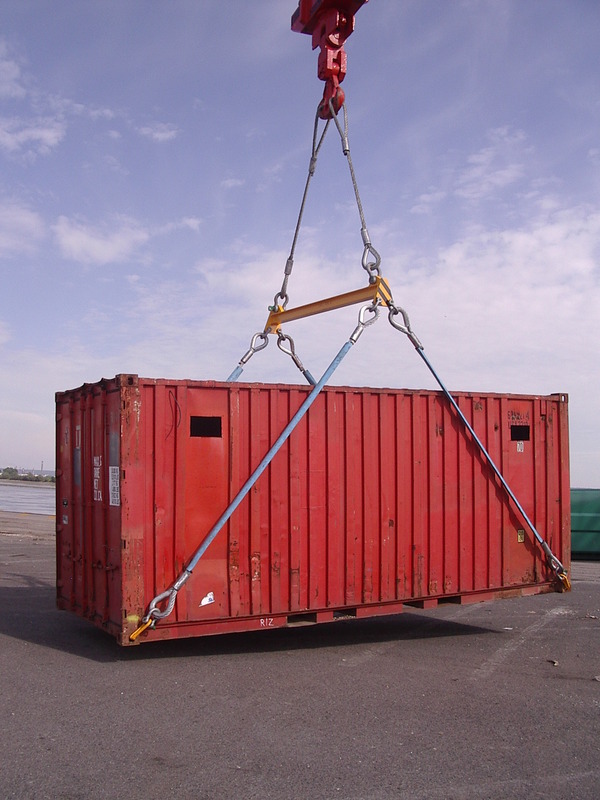 It serves as a spreader for the lifting of ISO 8', 10' and 20' containers. EXPORT: In order to increase our export presence, our SPREADERS can be dismantled to be delivered in 20' / 40' containers. 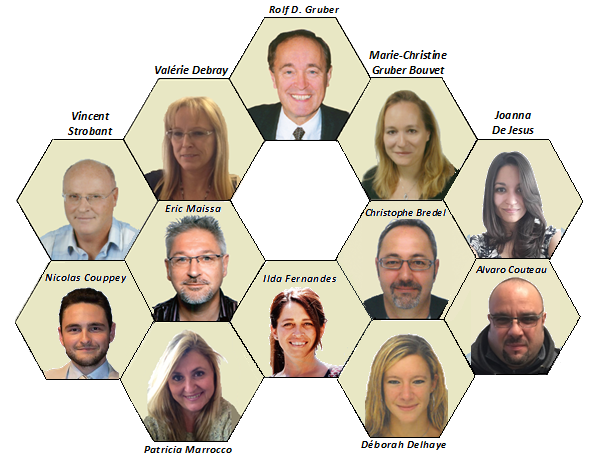 Our team is expanding ! We are pleased to announce you that the CEA team is expanding to better accompany you. The CEA team is at your disposal for any inquiry.